The Check and Go is designed to monitor oxygen concentration in the patient-breathing environment. It is one of a full line of oxygen analyzers. The Check and Go utilizes the Drive oxygen sensor and is engineered for fast response maximum reliability and stable performance. 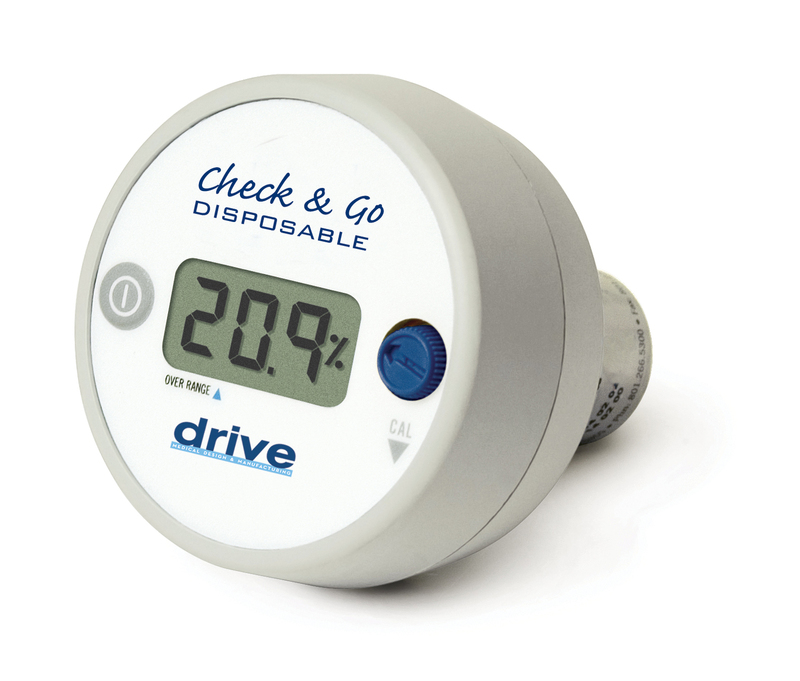 The Check and Go is designed primarily for spot checking of oxygen levels delivered by medical oxygen delivery equipment and respiratory care systems. Its lightweight compact size extended battery life and "auto off" feature makes this oxygen analyzer ideal for portable oxygen analysis by qualified heath care professionals.